This week we have a first-of-its-kind podcast episode: Barbara and Mark, two members of our community and a married couple who runs their own design business, Wicky Design, share with us the challenges they face, success stories, and a few valuable lessons. 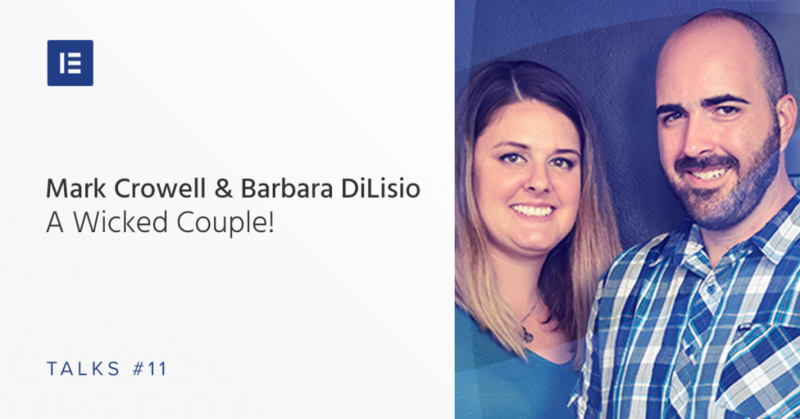 Barbara Dilisio and Mark Crowell are a husband and wife team of web designers in Philadelphia. They started their business, Wicky Design, four years ago. Both of them worked in web design jobs in the past, Barbara for various small businesses, and Mark worked for a large corporation for 15 years. Then, they decided to join forces. Who was their first client? How do they differentiate themselves from their competitors? And what are the challenges they face as a growing small business? Listen to the full interview, and read about the major takeaways. Mark will leave his corporate position later this month, where he has been working for the same corporation for the past 15 years. This past year, he tells us, he and Barbara have had a lot more demand coming in, so Mark needed to focus on Wicky Design full time with Barbara. To him, it was a huge transition leaving a major corporate gig to run his own business. Working for such a large corporation, there were a lot of limitations on creativity. But the biggest challenge has been figuring out how to do everything on their own. Barbara and Mark partnered with photographers, content writers, and marketing experts, to help with the whole website building process for their clients. 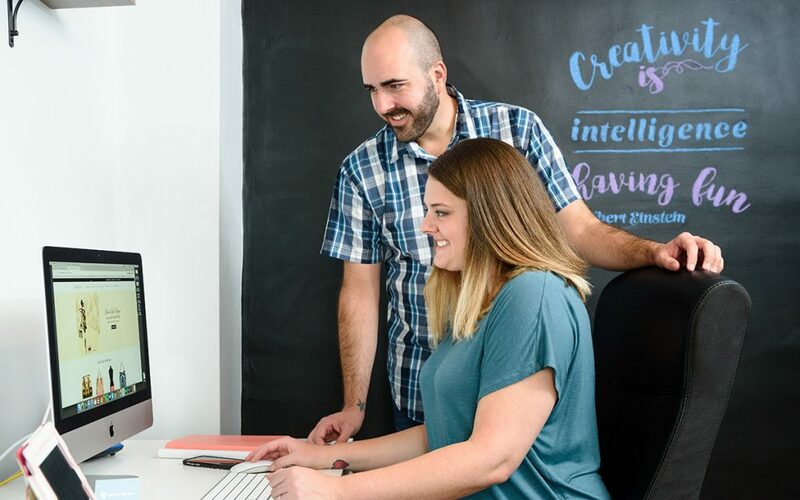 Barbara and Mark founded Wicky Design because they saw a need to change the relationship between web designers and small businesses. Too often, they say, they would hear horror stories from small business owners saying their web designers took forever to complete their projects, were hard to get a hold of, and ultimately didn’t give them what they were looking for. At Wicky, they promise their clients a streamlined process that will get them up and running in weeks. Barbara thinks the biggest difference is the fact that they are a husband-and-wife team, and people seem to like that they are a small business. They don’t work for large agencies and don’t really have an interest in working for large corporations. They like handling people that run small businesses. For Mark, communication with the client is key. “We actually respond via emails and pick up the phone … a huge thing for us is customer service”. In a small business, the relationship with the client is much more intimate. Barbara says they like to build a relationship with their clients so that a year, two years down the road, they can work together again. Mark says working with corporate clients for so long, he has learned that educating your clients on how stuff works goes a long way. A lot of people don’t want to educate the clients, they want the clients to just rely on them. Mark likes to help their clients understand stuff and, by doing that, he hopes to see them come back over the years. One of the success metrics of building a website is how helpful your client is with regards to content. In order to make sure clients deliver in terms of sending the material – photos, content, and media – Barbara and Mike created an Intro Packet, that lays out how they work and their timelines, and package pricing. The client has to read through the intro package so they already know they need to have their content ready, they need their photos and everything up front. The clients also have to sign it. Then Barbara and Mike send over another packet to welcome the client, set things up so they can provide everything they will need in transferring over the website. For Barbara, Elementor really helps to speed up the design process: “I can do a lot of things a lot quicker. Before, using different tools, I didn’t have as much freedom to go in and make changes to the design on the fly, so it’s really helped to speed up the process for us. I love scrolling the blogger posts, as the knowledge is based on real life experience. The article is very well written, as it explains the Content Manager very easily, just reading the article makes so many things clear. Thank you Matan Naveh for the great piece. Wow, that’s indeed a very romantic story from a very very romantic couple. I always get inspired with such romantic stories of couples who are now successfully running a biz. And yes, I fully agree the last section “Lessons They Learned”. I myself have had a bitter experiences and have finally decide not to settle with cheap.